Xiaomi, world’s 4th largest smartphone maker, a name that resonates with great smartphones flaunting some amazing specs, that too at an affordable price, now plans to jump into personal computing devices arena as well, to take on laptop makers. 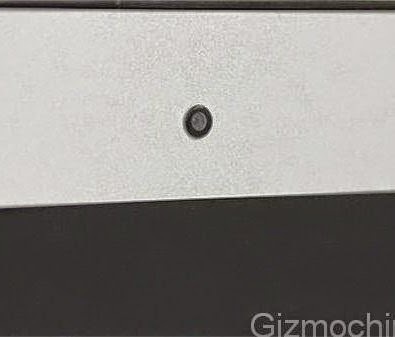 The new leak from GizmoChina highlights rumored Mi Laptop along with its speculative price. The striking feature of this laptop is that it resembles Apple MacBook Air. In the past there have been a lot of speculation about Xiaomi entering the PC industry as part of its next strategy. While Xiaomi's first laptop launch date is still not out, but if rumors are to be true, then the Chinese maker will add another feather to its arsenal. 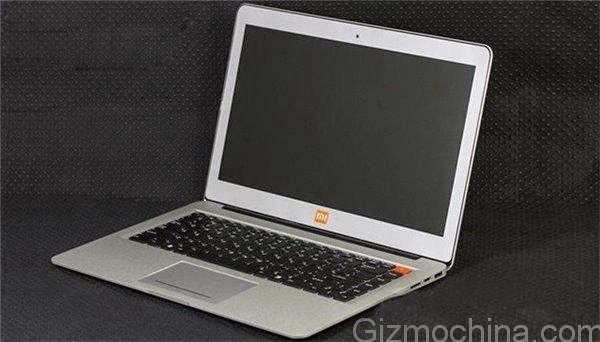 The laptop in the leak showcases bright orange 'Mi' logo below the screen, while rear silver logo occupies same area like that inscribed on the Macbook Air laptops. The laptop sports a special orange colored function button that can take custom functions from the user. RAM: With two 8GB dual channel memory modules, a very powerful 16 GB RAM will be on board to take on any complex processing at ease, making the laptop a kill machine. OS: To keep the price competitive, the laptop will run on open source operating system like Linux but exact version is not shared. Design: The rumored laptop show akin design aesthetics to Apple Macbook's Air range, be it bezel size, color scheme, keyboard style, and other details. Price: The laptop will be priced very competitively i.e. CNY 2,999 or $481 or Rs. 30,700 approximately). Xiaomi has not announced anything officially and it is hard to ascertain if the company is actually developing a laptop. Though we all know Xiaomi has recently explored many new domains like fitness bands, air purifiers, tablets, modem categories, and hence entering into PC category will not be surprising and we won’t appalled to see new laptop from Xiaomi a reality next year. From design & specification and the price mentioned, this laptop will uproot other laptop players likes HP, Dell & Lenovo etc. The issue around Xiaomi has been its customer care and service center. We hope Xiaomi improves on this aspect as well along with the new products. Watch out this space for more details in coming days as we plan to follow this story closely.